As I'm sure you all know, I'm a huge Erin fan. 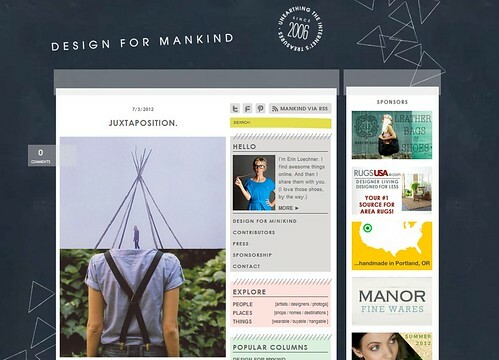 Her blog, Design for Mankind, is nothing but the most perfect collection of, well, everything. It's been one of my favs for a long time now. She just has the most amazing sense of style, and every post is like eye-candy. Now that she's expecting (and pretty soon, I might add!) 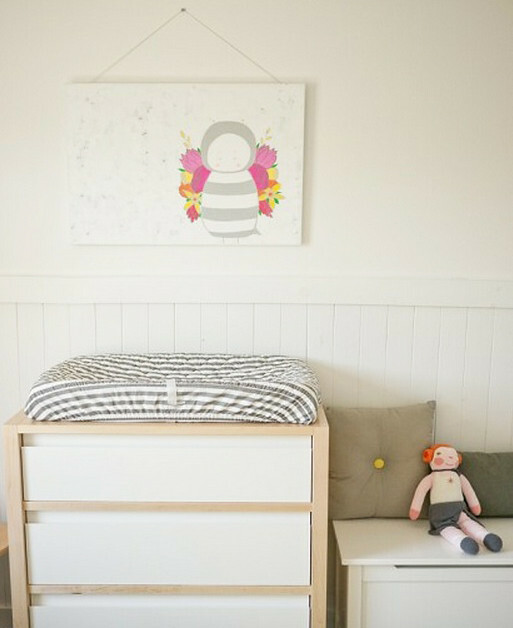 she recently launched Design for Minikind, an equally rad blog specifically geared towards the little ones in our lives. I'm obsessed. And as I mentioned not too long ago, I was lucky enough to be able to contribute a little something from ADOP to her little one's room...just love this custom piece! Even though Erin is the busiest lady ever (and pregnant to boot) she quickly got back to me with her answers, so I'm thrilled to share them here. 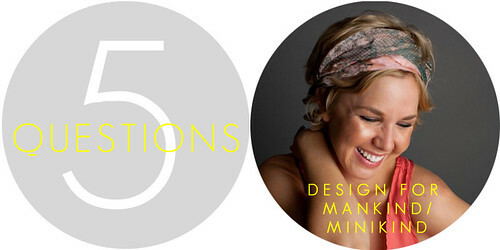 I love that I have the freedom to write about whatever is in my head, whether that be awesome rugs, painted pants or an awesome geode street art installation in L.A. And because babies fill up 70% of my headspace these days, I have endless words to share at Design for MiniKind! Where do you see you/your blogs in the next few years? Oh gosh, I have no earthly idea. I'm definitely not a long-term planner (I get so stressed out at the thought! ), so I'm going to just keep riding the wave until it stops being fun. I don't see that happening anytime soon, that's for sure! I actually LOVE to work, so sometimes "me time" involves a quiet night in with a hot tea and my laptop. I also make sure to take a long walk around the neighborhood after dinner each evening - it clears my head and gives me the chance to hit "refresh" on any of the day's woes! How great is her advice? She's so wise!!! Thank you so, so much Erin for doing this, and I'm sooooo excited for the world to set eyes on your little bundle of joy!! Awesome post! Adding her blog to my reader. Erin is so delightful. What a great five questions post! Thanks for sharing!